To ensure service excellence in the various fields of companion animals veterinary cardiology through the use of toolkits and advanced techniques, continuous renewal of medical knowledge and the provision of care, comfort and support to our patients. To be a landmark for Italian and foreign scientific research, training and developing team of specialists that will ensure the future of veterinary cardiology, through their professionalism and skills acquired. Dr Roberto Santilli directs the cardiology divisions of the Clinica Veterinaria Malpensa and Ospedale Veterinario I Portoni Rossi. These units have as mission the excellence, the innovation and the research in the diagnosis and treatment of cardiovascular diseases of the dog and cat. The daily work of professionals that make up these units consists of the analysis of clinical and instrumental findings with maximum precision and knowledge, following diagnostic algorithms supported by scientific evidence, which is followed by medical or interventional cardiology at the forefront. The units work on Italian scale regarding outpatient activities and interventional cardiology, while its catchment area extends to the whole of Europe with regard to the electrophysiological ablation of arrhythmia substrates. The operating unit of cardiology is accredited for performing official echocardiographic examinations to search for congenital heart diseases in the dog with the Italian observatory FSA. The department staff is present every day of the week by appointment. At the cath lab of Clinica Veterinaria Malpensa and Ospedale Veterinario I Portoni Rossi the cardioteam performs cardiac angiography for the evaluation of valvular stenosis as well as interventional cardiology procedures designed to solve different congenital heart diseases. 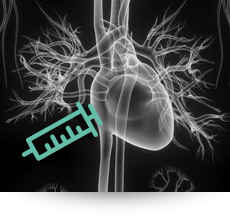 In particular, thanks to transluminal valvuloplasty is possible to treat congenital valvular stenosis of the pulmonary valve and the aortic valve. Moreover, thanks to the use of special devices (ACDO) the cardioteam make the closure of patent ductus arteriosus through intervention of minimally invasive interventional cardiology. The Clinica Veterinaria Malpensa and the Ospedale Veterinario I Portoni Rossi represent centers of reference for the diagnosis and treatment of rhythm disorders. At the facilities, you can make diagnostic evaluations entail the execution of electrocardiographis tracings and prolonged heart rhythm recording. In particular, it is possible to perform Holter monitoring for a period of 24-48 hours, or, in cases where it is required, monitoring heart rhythm for a period of seven days by external loop recorder (R-Test) or the duration of 36 months by implantable loop recorder (Reveal). These types of devices that allow prolonged cardiac rhythm monitoring are particularly useful in patients who have heart rhythm disorders or in patients with intermittent episodes of transient loss of consciousness. The electrophysiology laboratory uses advanced equipment for pacemaker implantation, to perform electrophysiological studies and radiofrequency ablations and electrical cardioversion. The pacemaker implantation is the treatment of choice for patients with symptomatic bradycardia. It is a cardiac intervention procedure by which, through an access from the jugular vein, an electrode is placed in the right ventricle where it can stimulate the heart to an adequate heart rate. Electrophysiologic study is a diagnostic procedure that provides for the registration of electrocardiographic tracings recorded by electrodes placed inside the heart chambers to make the correct diagnosis of supraventricular and ventricular tachycardias. At the same venue, in addition to the diagnostic procedure, you can make the treatment procedure such as radiofrequency catheter ablation abolishing with thermal injury the part of the heart tissue causing the arrhythmia. Electrical cardioversion is a procedure through which an electric shock synchronized allows the restoration of sinus rhythm mainly in patients with atrial fibrillation. 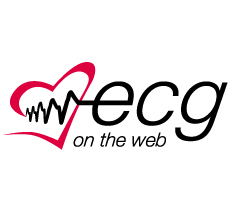 Since 2007, the division of cardiology of the Clinica Veterinaria Malpensa established a telemedicine service called Ecgontheweb.com, which read electrocardiograms and Holter monitoring. Currently more than 90 centers in Italy and 18 in other European countries, Israel and in North America refer to ecgontheweb.com 1000 Holter year for the analysis of rhythm disorders in dogs and cats. The research team of Dr Roberto Santilli carried out clinical and epidemiological studies on cardiac and electrocardiography. Through the guidance of intracavitary mapping the group led by Dr Roberto Santilli was able to describe the most common rhythm disturbances in the dog evaluating the electrophysiological mechanism, electrocardiographic and clinical characteristics. In veterinary literature there are several publications in peer-reviewed national and international journals regarding the researches carried out by the electrophysiology laboratory of the Clinica Veterinaria Malpensa, studies presented in most European and North American conferences. Finally thanks to knowledge gained in the field of clinical electrophysiology, Dr Roberto Santilli has written several published works on the subject, including the book of Electrocardiography of the Dog and the Cat (2009) and the Manual of Cardiology of the Dog and the Cat (2012) published Elsevier Masson , DVD multimedia on arrhythmias published by Boehringer. (2014-2015), the chapter on supraventricular tachycardias on the CVT XV (2014) published Elsevier and chapter on ablation of cardiac arrhythmias on the text of Veterinary Imaging-Guided Intervention Weisse C et al published Wiley-Blackwell (2015). The divisions of the Clinica Veterinaria Malpensa and the Ospedale Veterinario I Portoni Rossi are recognized nationally and internationally for clinical and interventional activities undertaken with particular regard to the treatment of rhythm disorders of the dog, and to offer important formative action. Medical staff holds, in fact, national and international seminars, in real and virtual classrooms and annually produces several editorial works and articles in Italian and Anglo-Saxon peer-reviewed journals. 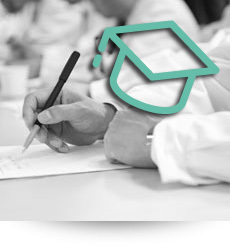 At the divisions of cardiology is possible to undertake a residency programs of the European College of Cardiology, periods of customized training and internship.